On her first visit to New Mexico in 1917, Georgia O’Keeffe was awestruck by the state’s vast skies and stark landscapes. She traveled back and forth from New York to northern New Mexico for many years but eventually moved there permanently in 1949. O’Keeffe conveyed her passion for the land and its culture through paintings of sweeping high-desert landscapes and varicolored sandstone cliffs, as well as in still lifes incorporating skulls, feathers, bones and Pueblo pottery. 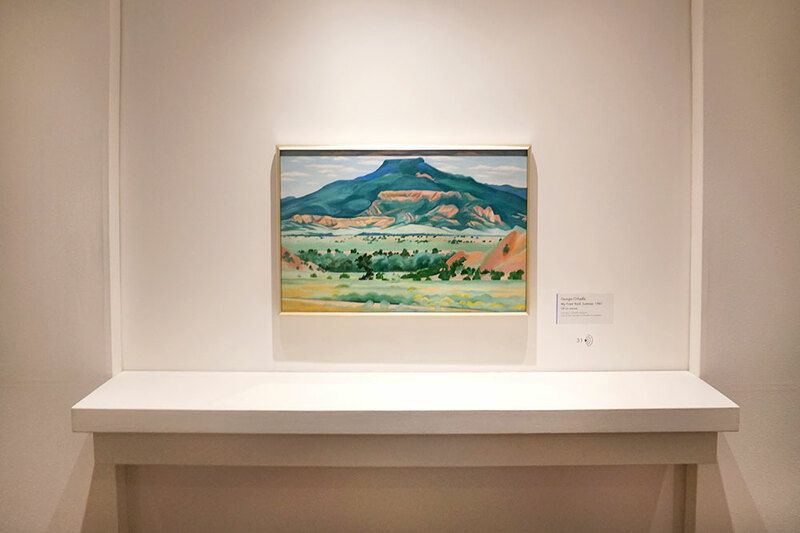 Discreetly set in an adobe-colored structure in downtown Santa Fe, this museum celebrates all stages of O’Keeffe’s pioneering work, from her early abstract watercolors and well-known flower depictions to her New York cityscapes and New Mexico landscapes. Works of other contemporary American modernists are also exhibited to show the varying styles of the time. The video presentation dealing with O’Keeffe’s childhood and marriage to photographer Alfred Stieglitz, plus personal interviews on her ranch in Abiquiú, is extremely worthwhile. O’Keeffe habitually spent her winters and springs at her home in the heart of Abiquiú and summers and falls at her ranch 15 minutes away. 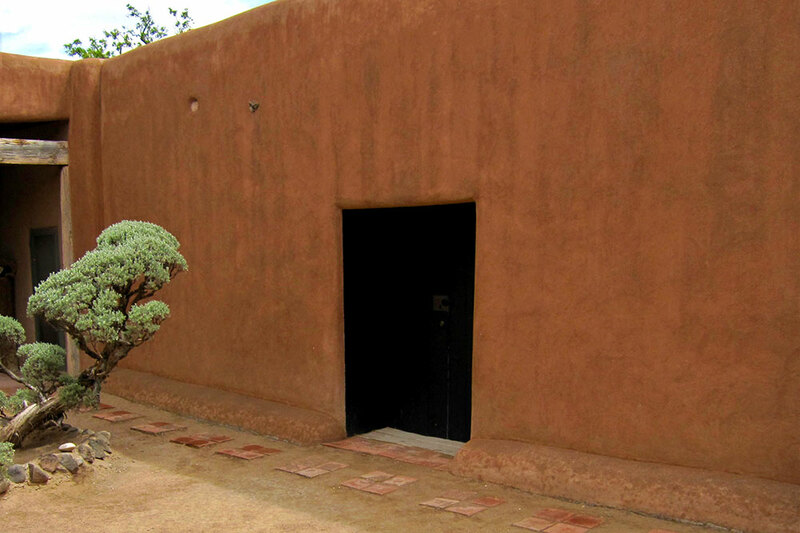 Her simple adobe home, garden and studio set on a mesa overlooking cottonwood trees and the Rio Chama Valley proved to be a great source of inspiration. The interior of the house is sparsely furnished, with handpicked rocks and stones and mounted skulls as the only decorations. O’Keeffe was an avid gardener, and the well-maintained grounds are also a highlight. Tours are offered from March to the end of November; advance reservations are required. In 1934, O’Keeffe purchased this 21,000-acre ranch and considered it to be her spiritual home. 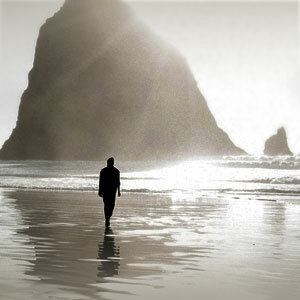 Here, she could live in seclusion, surrounded by the extraordinary landscapes that so fascinated her. From the central patio of her Pueblo Revival-style adobe house, it is easy to lose yourself in contemplation amid the ranch’s beauty. 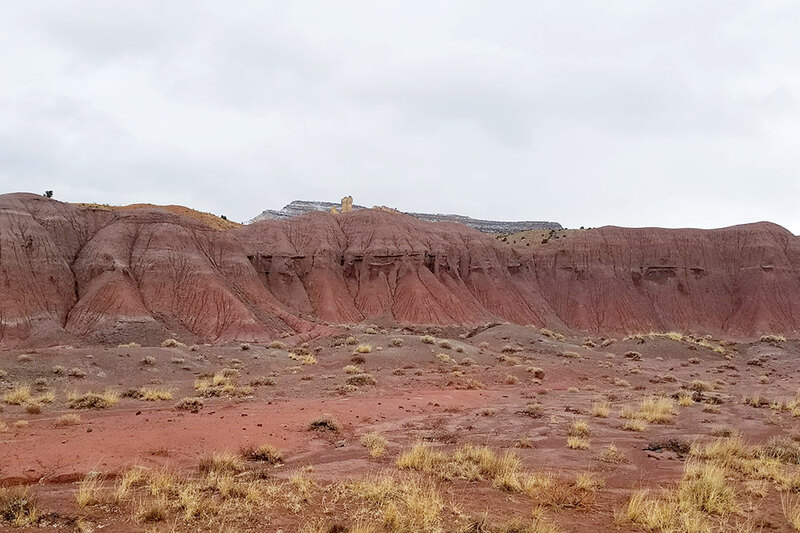 The uninterrupted views are of red and gray sandstone buttes spotted with blue sage plants and the distant Cerro Pedernal mesa. I recommend booking one of the horseback-riding tours, on which knowledgeable guides lead you along well-worn paths to pinpoint many of the scenes she painted.